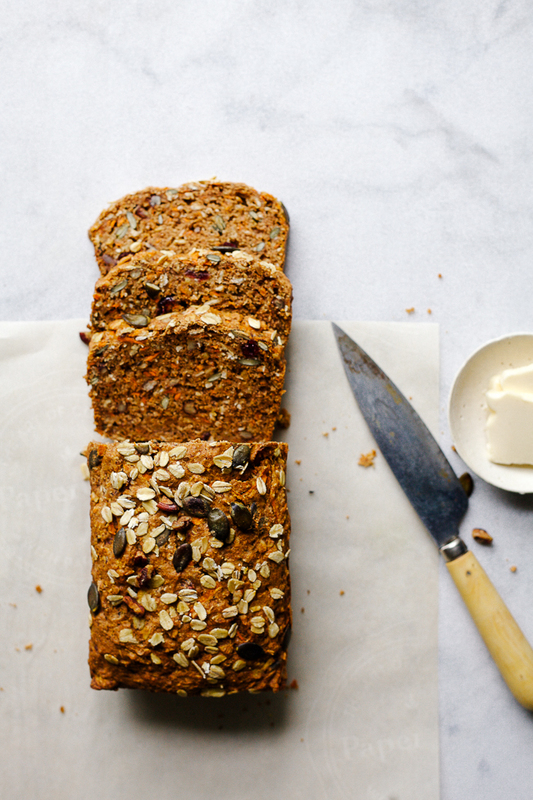 Based on the classic Morning Glory muffin, this loaf is a mix of carrot, cranberries, pumpkin seeds, nuts, coconut, and spices. Unlike traditional morning glory muffins, this recipe is made with applesauce to cut down on fat and refined oils. Adding any nuts or seeds you want makes this an easy way to help keep your fiber intake high while still enjoying that much needed winter comfort. Get the recipe! A healthier treat for you and your little ones! 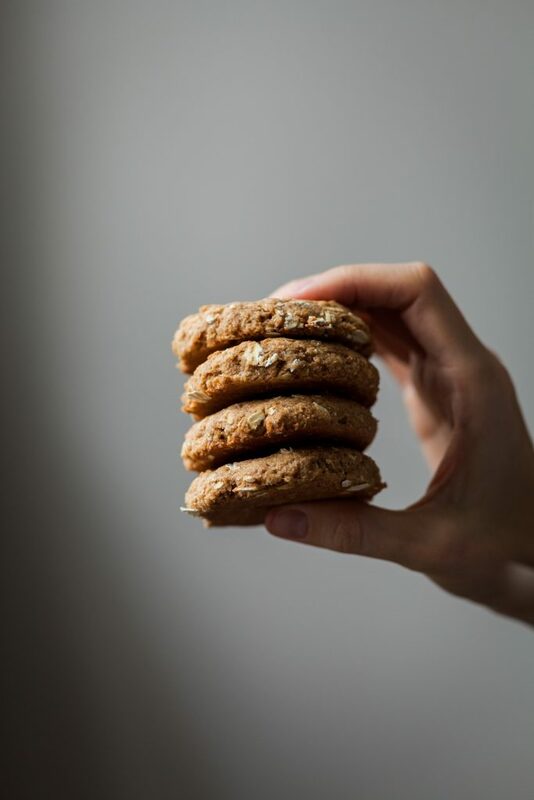 These vegan peanut butter oatmeal cookies are low in refined sugar free from refined oils. Chewy on the inside with a lovely crunch around the edge…they’re best enjoyed fresh from the oven with a glass of cold almond milk, obviously! For a school friendly version, you can easily exchange the peanut butter with almond butter. Get the recipe! 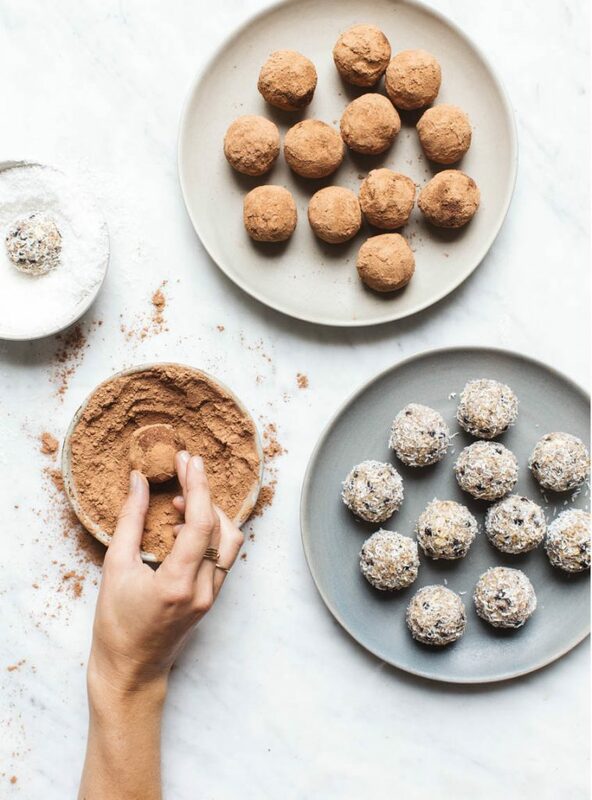 Don’t get hangry by keeping these healthful no-bake bites on hand. Loaded with good fats, and free from refined sugars, these are sure to help take the edge off without derailing any healthy eating endeavors! They’re the perfect little gluten free bite for when you’re waiting for your meal or on the road. Get the recipe! Gluten, grain, and sugar free flourless chocolate peanut butter cookies made with dates and cocoa. 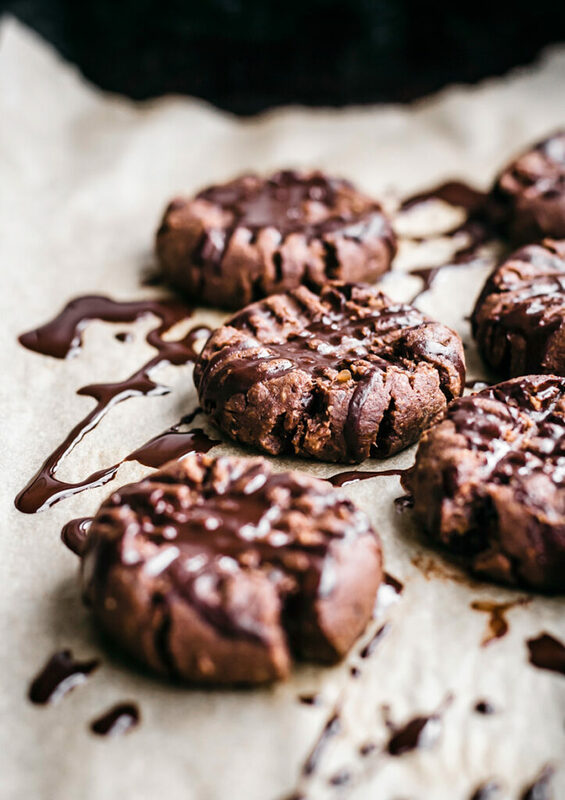 These fudgy vegan cookies are surprisingly delicious and an ultra-healthy option to fulfill a chocolate craving. Get the recipe! 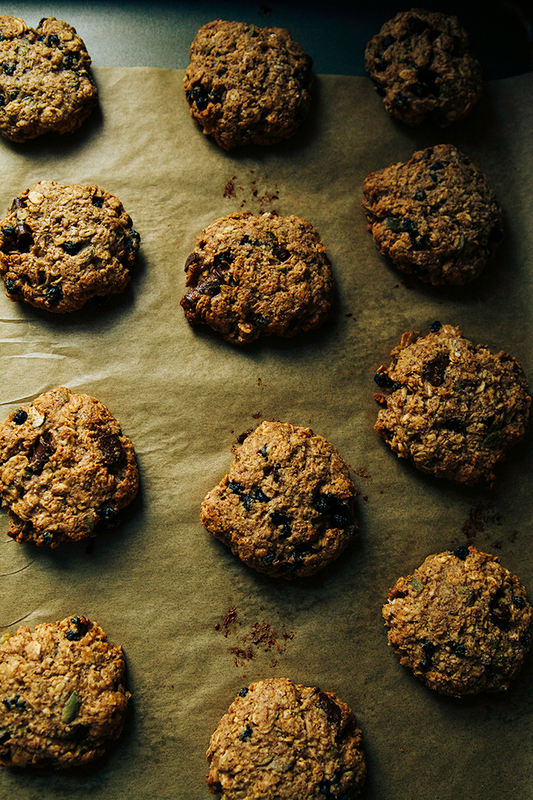 These awesome breakfast cookies will help keep you going for those busy mornings. These ultimate breakfast cookies are loaded with good-for-you, but also super familiar ingredients. They’re also gluten and refined sugar-free. Get the recipe!